Hinds County Human Resource Agency (HCHRA) created and internal division called the Department of Family Opportunities (DFO). It was developed to meet all HCHRA’s desired case management outputs and outcomes. In addition to providing access to our internal services, HCHRA plans to maintain current partnerships and linkages with other community service providers and whenever possible, identify and solidify additional opportunities to leverage more support for the families we serve. Standardized policies for service delivery including common language and definitions. Data models organized by domains identifying services and outcomes and how they are associated for purposes of service delivery, reporting, and evaluation. e and the bundling of services. Assessment scales for measuring client progress and documenting achievement of outcomes. A standardized case management process. Service delivery map or flowchart. Patricia Slaughter is a graduate of Jackson State University. She currently serves as the Transportation Director. Patricia has been with HCHRA since July 2017, and brings with her over 12 years in Community Action. She is a strong advocate for the underserved population in Central Mississippi. 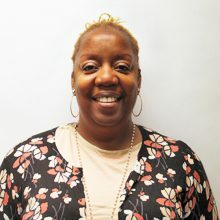 She strives to connect people to resources that are necessary to enhance the effective functioning and well-being of the population she serves.